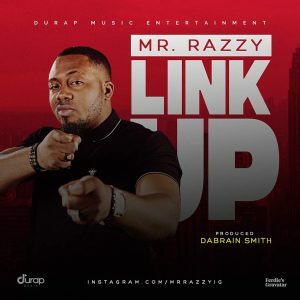 Mr Razzy is back, the Durap Music Signed Artist is back with Link Up, this HIPHOP bounce song was produced by DaBrain Smith, and would Get You bouncing. Durap Music decided to release this version, as we await the release of the Remix, which features Superstar South Easy Rapper, Zoro, the Song which will come with a Video, will Be Ready in a couple Of Weeks. Enjoy Link Up as We Await through Remix.